Pre-oxygenation is: safe, simple, cheap, effective, well-tolerated. This article provides a compelling argument in favour of pre-oxygenation prior to all general anaesthesia. The purpose of pre-oxygenation is to increase physiological stores of oxygen in order to prolong the time to desaturation during a period of apnoea, a situation that is usual following induction of anaesthesia. This is particularly the case during a rapid sequence induction, when positive pressure ventilation is avoided prior to intubation of the trachea. Pre-oxygenation can also be thought of as denitrogenation – highlighting the fact that it is the nitrogen within the lungs that is being displaced by a high inspired oxygen concentration. The rate of oxygen desaturation is influenced by the balance between oxygen stores and consumption. Oxygen is stored in the body within the lungs, blood and tissues. 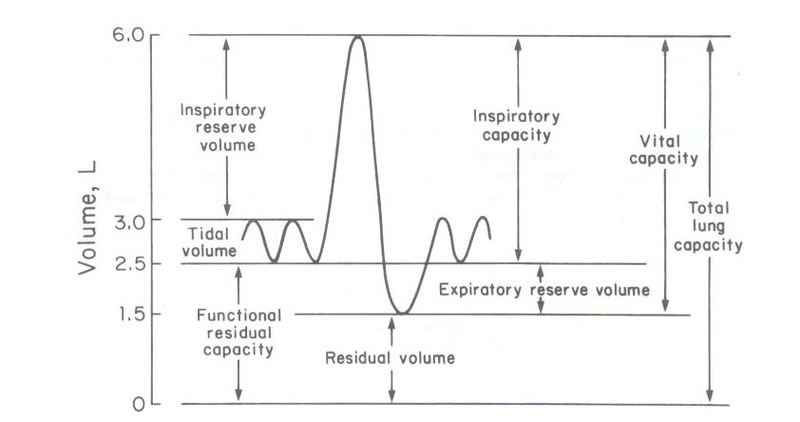 In the context of pre-oxygenation, the greatest increase in oxygen store is within the lungs; more specifically, the functional residual capacity (FRC), see Figure 1. Lung oxygen reserves are a product of the fractional concentration of oxygen within the alveoli (which we estimate by measuring the oxygen fraction in expired gas – FeO2perfusion (V/Q) mismatch, particularly shunt, is an additional factor that affects the oxygen content of blood. This may be influenced by the relationship between the FRC and the closing capacity (the lung volume at which airway closure first occurs during expiration). Oxygen consumption is influenced by metabolic rate. Shorter time to desaturation occurs in certain clinical scenarios including obesity, sepsis, pregnancy and in children. Non emergencies and GPs: Could 111 work better?